The Integration and Professional Development Center(IPDC) at Sagesse University aims to guide Sagesse students towards an increasingly competitive labor market. The Centre engages students with the professional environment and motivates them to turn to entrepreneurship. Moreover, it focuses on a labor market analysis with a view to suggest an appropriate integration in the educational curriculum of a variety of sections. The IPDC helps students identify job opportunities and develop their potentials as they are beginning a career. It motivates them to develop and pursue a successful career with positive impact on society. The IPDC is a comprehensive resource providing information and preparation for the students guiding them towards a suitable and rewarding professional choice. The IPDC hopes to be a bridge between students’ expectations and the local market needs. 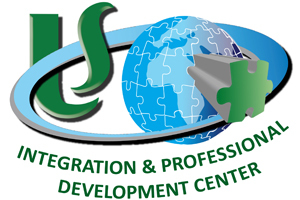 It offers a professional integration program intended to help students develop their own professional projects. The purpose of the IPDC is to allow current and previous Sagesse students to take personal ownership of their life long career development, which is why it challenges them to examine their values, interests and skills, and to define their purpose offering them numerous chances to fully invest themselves in their own communities. - Build their own professional network.